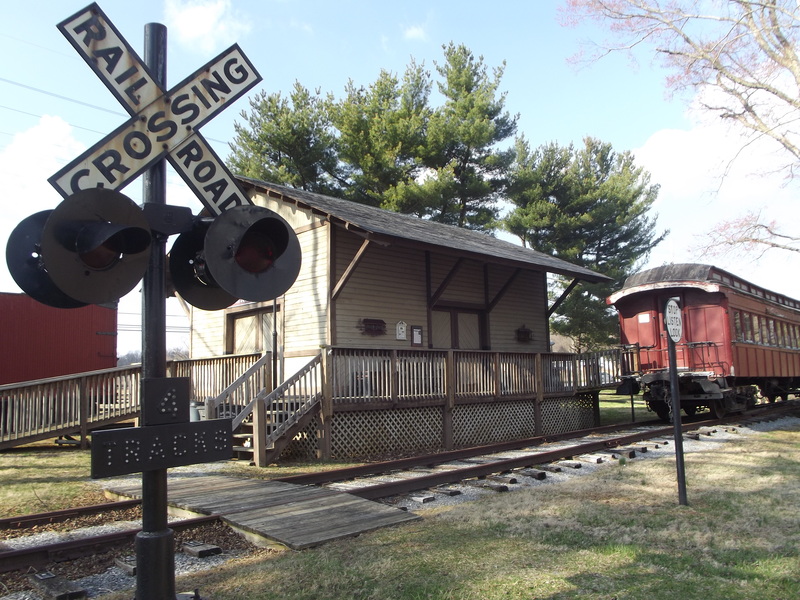 Welcome to the Newtown Square Railroad Museum! Consider supporting a piece of history! 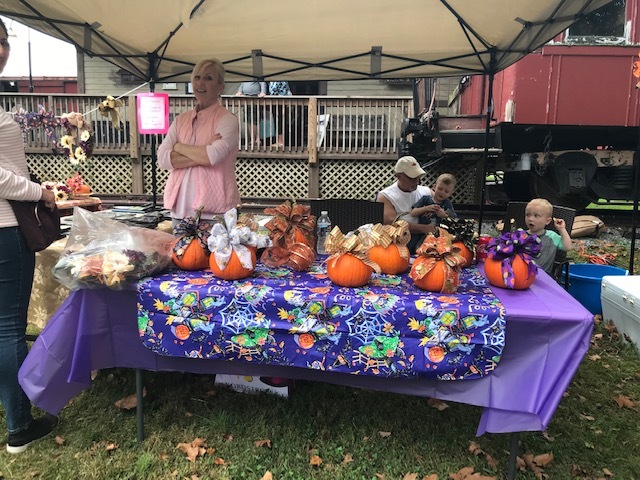 Join us for our Fall Carnival! 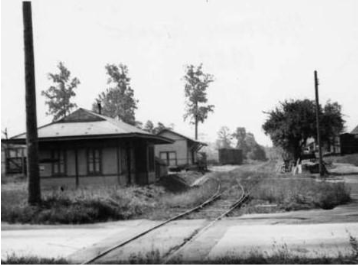 The Newtown Square Freight station was constructed in 1895, shortly after the Pennsylvania Railroad branch line was built. 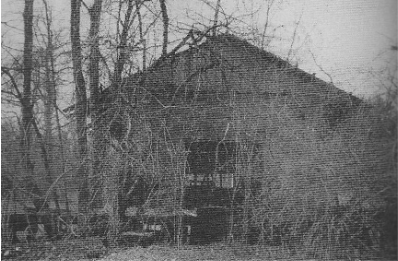 It was located on the west side of Newtown Street Road (Rt. 252) and what is now Winding Way (near where the new WAWA now stands). This was also the site of the lumber and coal yard, plus a feed and grain store. A corral was located in back of the freight station to hold livestock for shipments to and from the farms in the area. Farmers would bring their horses to E.W. Powell, the veterinarian, and after being tended by him they would be shipped out by stock car. A passenger station was next to the freight station. It housed the post office and telegraph station for many years. The freight station was the end of the branch line, the last stop from Philadelphia. 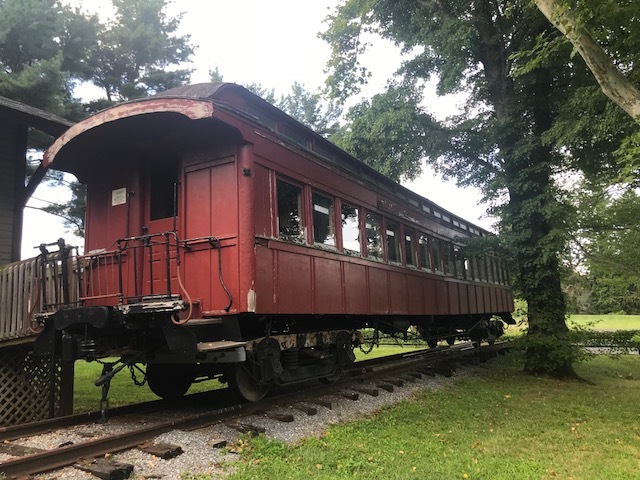 Between 1895 and 1908, as many as thirteen trains a day pulled in and out of the Newtown Square station; the milk train, the mail train, and various freight and passenger trains. The passenger train made the trip out to Newtown Square in the morning and returned to Philadelphia in the afternoon. The railroad ran passenger service from 1895 to 1908, but its freight service continued to operate until 1963, in the later years primarily servicing the lumberyard. There were ten stops along the line. Eight of them were flag stops, along with the Llanerch and Newtown Square stations. Although one can occasionally see where the train used to run and a few small relics remain, the Newtown Square Freight Station is really the last vestige of the Newtown Square branch of the Pennsylvania Railroad freight and passenger line that once rumbled 9.2 miles through the farms and countryside to Philadelphia. 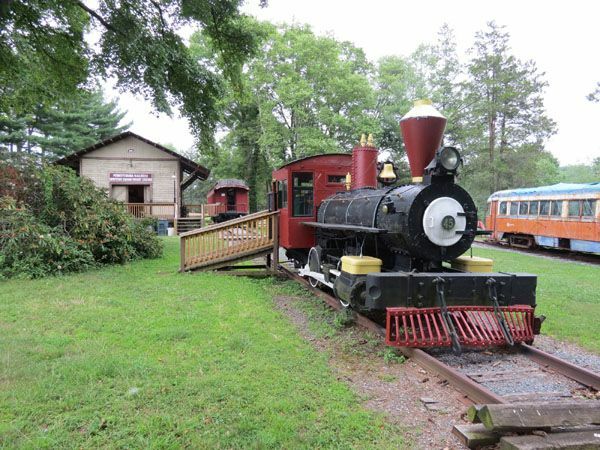 Several years ago, the abandoned station which sat at Newtown Street Road (Route 252) and what is now the Winding Way bypass was saved from destruction and relocated here to Drexel Lodge Park, where it was restored and a train museum built up around it, which now includes a 1902 passenger car, a 1950 caboose, a 1907 box car and small steam engine. 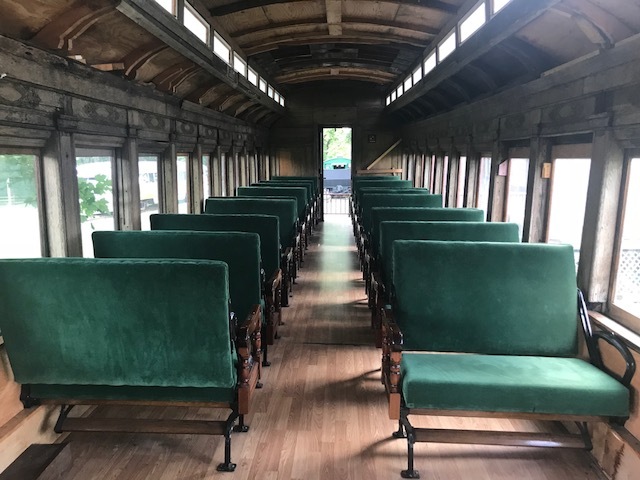 The Passenger Car: It was built in 1902 in the West Philadelphia shops of the Pennsylvania Railroad. There were 600 built that year and this is their last remaining one. After service with the PRR it was sold to The Canadian National Railroad. The Henry Ford Museum in Detroit gave it to our museum, and we are working on its restoration. 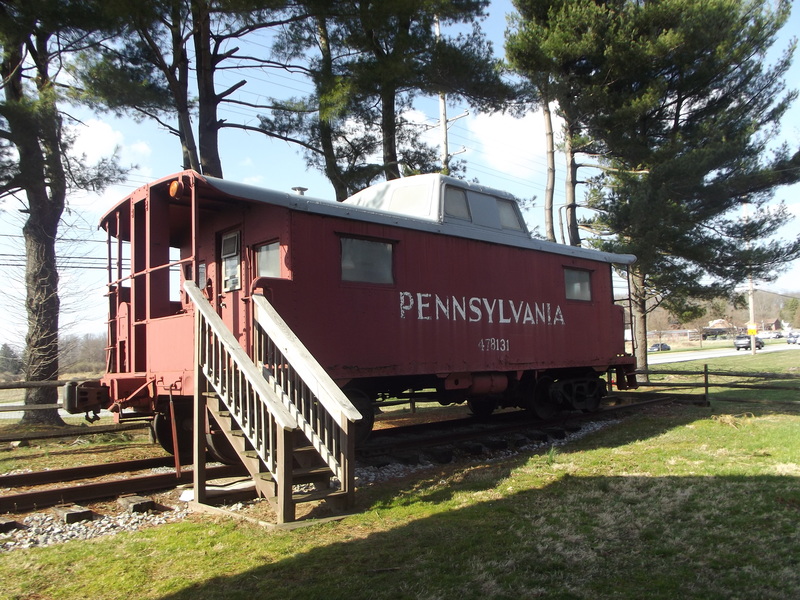 The Caboose: The Pennsylvania Railroad built this car in 1950. 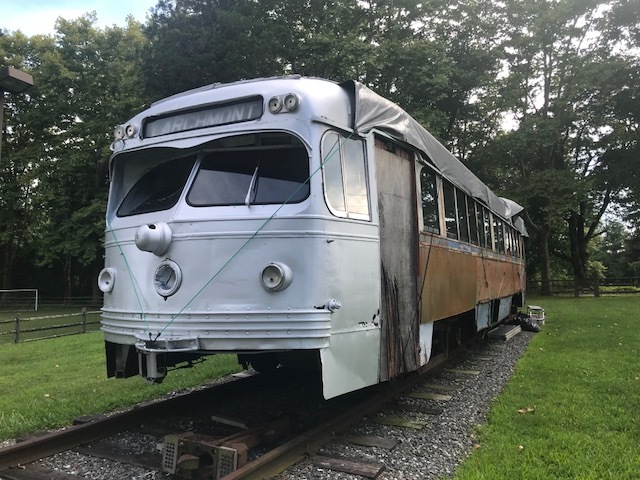 We obtained it from a local group in New Brunswick, New Jersey and have been restoring it. Today cabooses are no longer used on freight trains due to advancing modern technology. The Box Car: This car we believe was built in 1907. 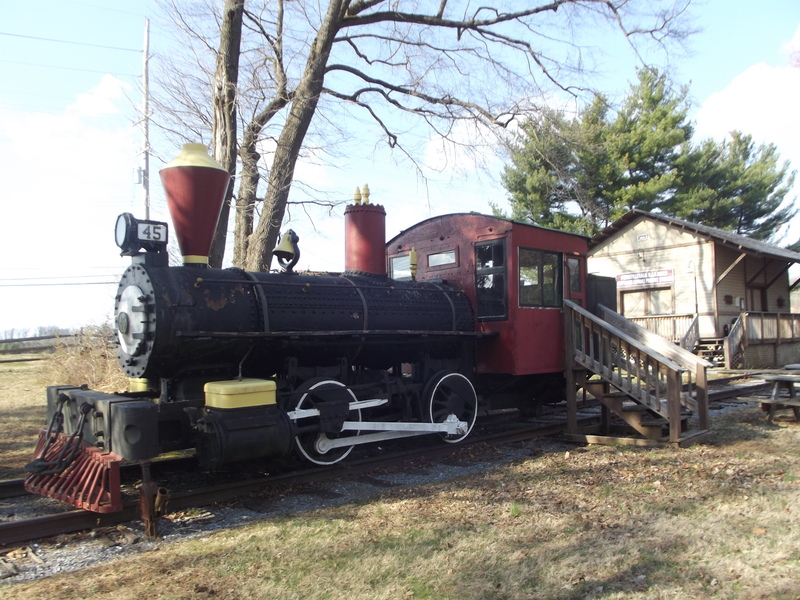 It is wooden and typical of the kind that was used on our freight line to Newtown Square. This car was given to us by the National Park Service’s Railroad Museum called “Steamtown” located in Scranton, PA. The Steam Engine: It is a 1920 yard locomotive built by the American Locomotive works. It worked in Syracuse, New York until 1950, then for a short time elsewhere before it was retired and just rusted away. The Museum obtained it in 2002 and has restored it to look like an engine of the 1890’s. It is a great example of an old steam engine, although this particular one never actually ran on the Pennsylvania Railroad.